Friday the 15 was when the homecoming football game occurred. This wasn’t the average homecoming football game, though. 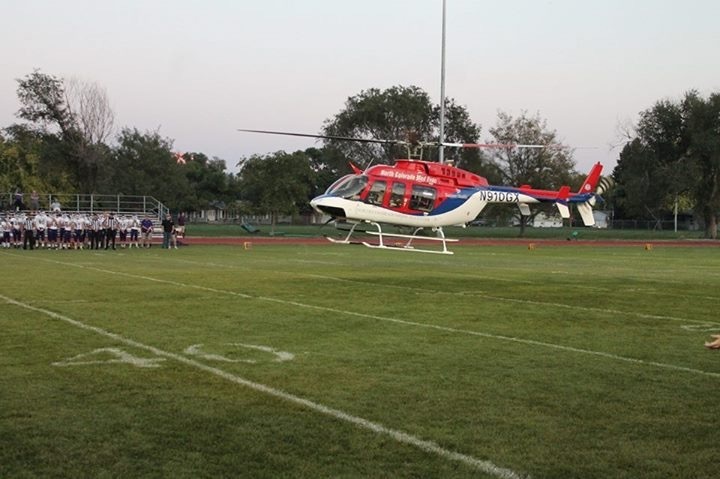 A helicopter brought the game ball to the players by landing on the football field. Drew Stewart was then the lucky one who got the honor of retrieving the ball from the pilots of the helicopter. Drew knew he was going to be the one to retrieve the ball before that night, and he really enjoyed the experience. The air blowing outwards from the helicopter made it kind of hard to walk as it picked up dust and grass, Drew explained. After Drew reached the pilots of the helicopter, they introduced themselves and handed him the ball. Then, the game only got better as the Holyoke football players competed. “They played really well,” stated Drew. His favorite part of the game was Blake’s big touchdown. “It was pretty cool,” Drew said. Out of the whole experience, Drew enjoyed the fact that he was able to be included in the game with such a special experience.